In December 2019, teams can compete against each other in a one-of-a-kind time trial race on land and water to win the 3rd edition of the Himalayan Adventure Challenge (HAC) from 13 to 14 December 2019 (Friday & Saturday) in Rishikesh. A brand new format changes HAC to make it more exciting and finish off as a team. It beckons you to combine your skills, teamwork and your abilities to the fore, making it the foremost multi-discipline adventure races in India today. HAC offers three formats - a 30 km Open Challenge, a 10 km Open or Family Challenge and an arduous 65 km Zealot Challenge involving Biking, Hiking and River Rafting. It caters to the novice, the weekend athlete, the armchair adventurer, the endurance champions and even the family; making it India's premier team racing event. Hosted by Aquaterra Adventures & Atali Ganga, the Himalayan Adventure Challenge is a new avatar of the Aquaterra Challenge, and has developed after years of testing ground for safety, fluidity, ability, and improving upon the challenge. We started as a fundraiser to bring people to travel back to Uttarakhand. The Himalayan Adventure Challenge (previously known as The Aqua Terra Challenge) was set up to remember the June-2013 flood victims of Uttarakhand, and sought to bring people back to this beautiful part of India. The Aqua Terra Charity Trust supported the event to help bring back opportunities, choices, resources, essential services into the lives of many in Uttarakhand. The event was spread over 45 miles, and 2 days of challenge, involving a time based gruelling walk followed by a 16 mile cycling leg to the third and very exciting leg of the event – a 15 mile raft / inflatable kayak race down the mighty Ganges. Now, we sponsor team members (free of cost) which are made up of budding youngsters from the villages in the region and from Rishikesh. Quite a few of them have gone on to win multiple race events along with many prizes. The Xtra element to test your limits of endurance, complete 65 kms in 3 different disciplines in a single day! This is the open category where you race in teams of 4. Bring your team and race against the clock. Don't have any friends or family as team members just yet? Don't worry, you can still take part and we'll help you build a good team with other similar participants. Just choose the option while registering and you are in! So, you have decided to HAC it! Welcome aboard and now that you are signing up, here is some information that will help you plan your stay. We have two properties that are close together, and offer a great race venue. You may come in latest by lunch on Friday, 13th December 2019 for the orientation, briefing and the evening at Atali Ganga. Camp Aquaterra and Atali are the default race venue with tents and cottages set up in a forest clearing. While Atali has ensuite units, Camp has a WC complex, cots and shower stalls. 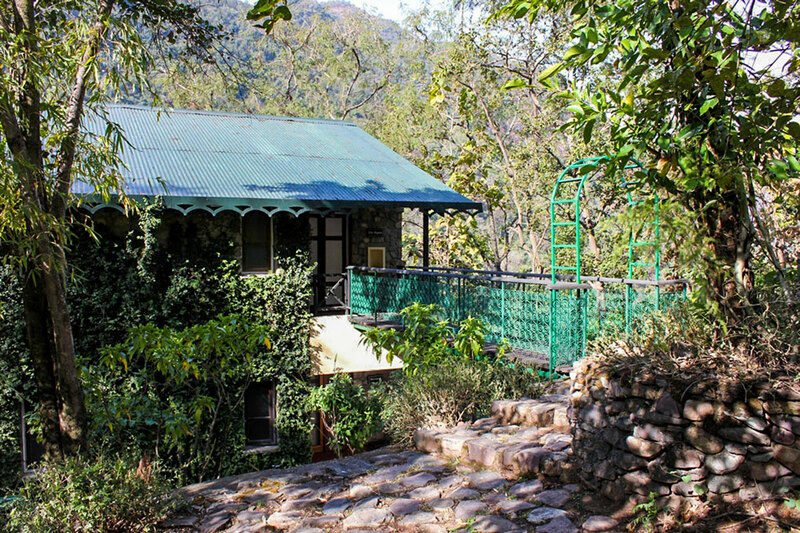 Atali is India’s premier activity lodge, and the venue of the evening on Saturday, 14th December 2019. You can choose to stay at other properties in the belt, and we will arrange transfers for you. 12:00 to 14:00 - All teams arrive post lunch to their race hotels / camps. 15:00 - Zealot & 30 km Open teams transfer for paddle & bike orientation / safety & practice session, pick up race kits, and clear all queries/doubts from race coordinators. 17:00 to 20:00 - Race Briefing, rules, retire to your base for an early evening. Saturday, 14th December 2019 - Zealot & 30 km Open Challenge. 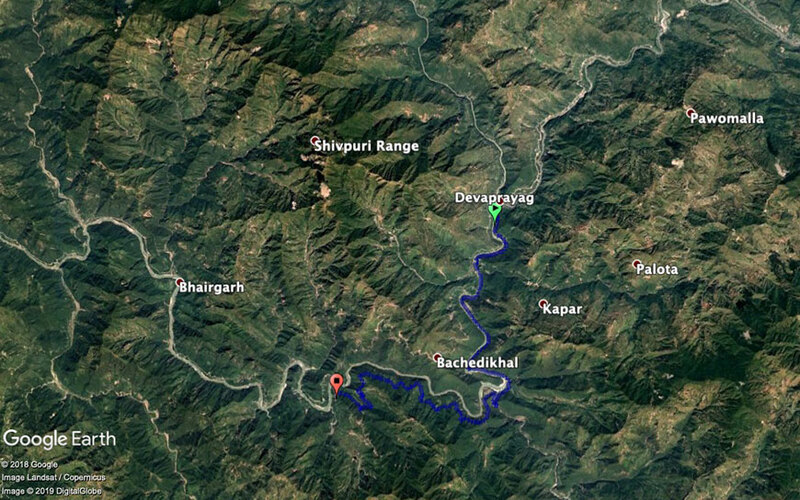 05:30 - Zealot 60km team transfer to Devprayag to begin their challenge. (40 km/ 90 min to Devprayag). 06:00 - 30 km Open Challenge teams transfer to race start point (approx. 6-10 km / 20 -30 mins. 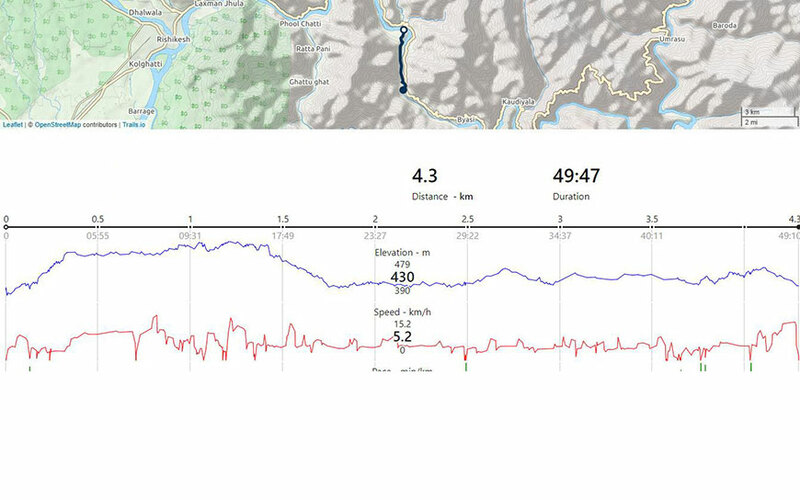 07:00 - Zealot race start below Devprayag (30 second staggered start). 07:00 - 30 km Open Challenge race starts at Singtalli. 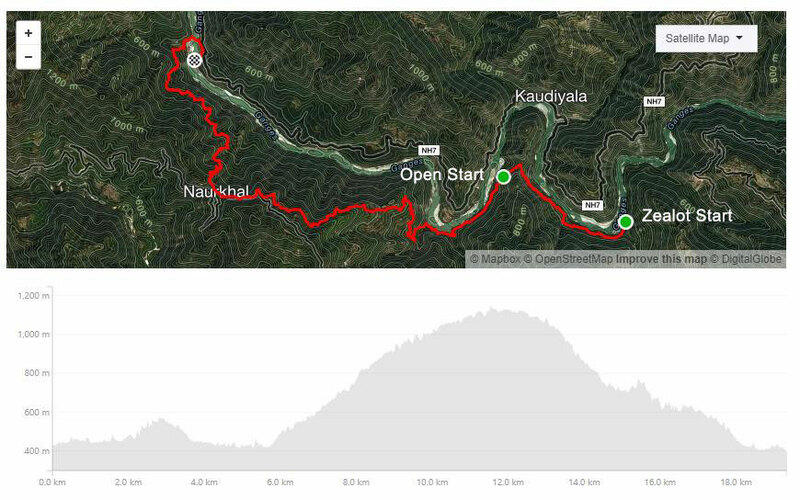 11:00 - 14:00 (race end time) - Zealot & 30 km Open Challenge teams reach Malakhunti finish 15:00 - 16:00). Note: Hard stop for all Zealot and Open teams at 15:00 if they have not started the river leg. 13:00 - 10 km Open Challenge teams transfer for paddle & bike orientation / safety & practice. 14:00 - 15:00 - Lunch for 10 km Open Challenge teams. 17:30 - Race ends. Transfer to respective hotels. Open challenge team should ideally be independent of Zealot/Open challenge members as some may miss the 15:30 cut off start for this leg. 18:00 - Awards and Gala Dinner with live music for all teams at Atali. Time to celebrate! Relax, soak in the venue, enjoy a day on the river, or hike and depart after breakfast. 4. Transfer from hotel to race start line, all local race transfers from recommended properties listed, end of race, to gala and back to hotel after gala dinner. 7. Bike rental is included in the fee for the Zealot Challenge. Participants of the Zealot Challenge, can alternatively choose to bring their own bikes, should they prefer that. Participants must be in good health and reasonable physical condition. It is vital that participants with medical problems make them known to us well before departure. If you suffer from severe muscular, chest, heart or bronchial disorders, or if you are a severe asthmatic, or have high blood pressure, you are strongly advised against participating. 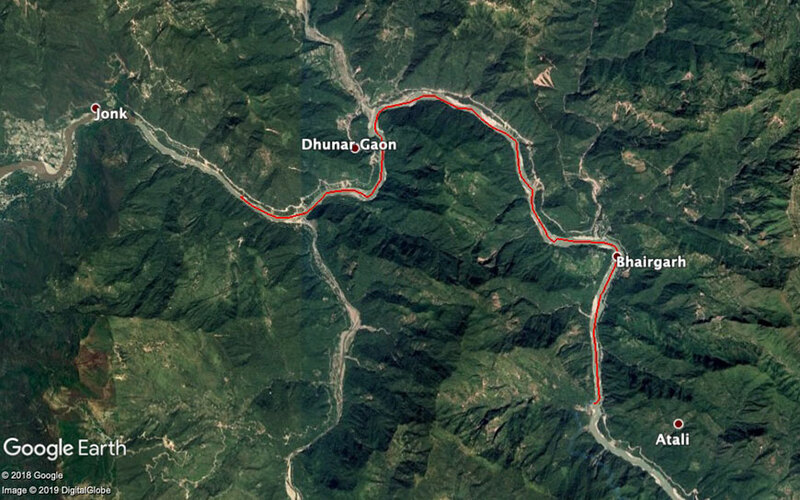 The Himalayan Adventure Challenge takes place in remote areas where there is little or no access to normal medical services or hospital facilities immediately for serious problems. Rishikesh & Dehradun are the closest cities with Hospitals and Professional Doctors available. Where necessary, evacuation can be prolonged, difficult and expensive. Medical and evacuation expenses will be the responsibility of the participant. By my online signature/acknowledgement as set forth in the registration form I acknowledge and confirm the following: I waive any and all claims I may now and in the future have against, and release from all liability and agree not to sue Himalayan Adventure Challenge / Aquaterra Adventures India Pvt. Ltd. and its officers, employees, guides, agents or representatives (collectively its staff) or the licensor for any personal injury, death, property damage, or loss sustained by me as a result of my participation in an adventure trip with them, due to any cause whatsoever, including without any limitation, negligence on the part of Aquaterra Adventures India Pvt. Ltd., its staff and licensor. I am aware that the race, in addition to the usual dangers and risks inherent, has certain additional dangers and risks, some of which may include: physical exertion for which I may not be prepared; weather extremes subject to sudden and unexpected change; remoteness from normal medical services; evacuation difficulties if I am disabled. The prices quoted are for payment through our parent company's website (Aquaterra Adventures (I) Pvt Ltd / aquaterra.in) through our Payment Gateway Providers: Instamojo or RazorPay, NEFT/IMPS/Wire transfer, Cheque or Cash payable in New Delhi. The race fees price is payable to Aquaterra Adventures (I) Pvt. Ltd. at the time of registration after submitting the form on the left. You will be redirected to: https://aquaterra.in/hac-registration/ to complete the formalities. If you have any questions or are unable to pay after registering, please get in touch. Inability to make full payment entitles Himalayan Adventure Challenge to cancel your entry without notice and without refund of any deposit. All prices are quoted in Indian Rupees unless communicated otherwise via email. If it becomes necessary to cancel your participation at the Himalayan Adventure Challenge, you must notify us immediately in writing. If cancellation takes place anywhere between 30-45 days prior to the event, your full payment will be returned. A processing charge may apply at the time of refund for which you will be notified on receiving a cancellation request. If cancellation takes place less than 30 days prior, 100% of the race fees will be forfeited. The race fees is quoted as a package. No partial refunds or credit will be given for services not used. We recommend that you obtain travel insurance upon booking. Our Tour Leaders or Activity Officers take their responsibilities seriously and if they believes in his/her judgment that you should not participate in the race, before your departure, even if you pass your medical, he/she may exclude you from the race. In this circumstance, you will be offered the option of taking another trip offered by Aquaterra Adventures considered suitable for you or a full refund. If during the race the Tour Leader considers you should not participate further he/she may direct you not to continue and you must follow the Tour Leader’s instructions. In this case, you will not be entitled to any refund. Travel insurance may compensate you depending on the circumstances. Himalayan Adventure Challenge / Aquaterra Adventures India Pvt. Ltd. reserves the right to cancel the race prior to departure in which case participants will be given a refund in full. However, you will not be entitled to make any further claim for any injury, loss, expenses or damage (either direct or consequential) or for any loss of time or inconvenience which may result from such cancellation (including but not limited to visa, passport and vaccination charges, or departure, gear purchases, airport and airline taxes). Himalayan Adventure Challenge / Aquaterra Adventures India Pvt. Ltd. may for any reason change the date of departure or conclusion of the race, or it is possible that a route change, postponement or delay (either in relation to departure or to the duration of the expedition) may become necessary due to inclement weather conditions, political restrictions or any other cause. In the event of a change, postponement or delay, participants have no right to refund of the race fee (in whole or in part) or other compensation for any injury, loss or damage. India's Most Exciting Adventure Race Is Back in December 2019!